What does quality of life really mean? There have been attempts to make a qualitative statement into a quantitative statement by assigning a scale to measure this for our pets. Really, though, it means freedom from physical and psychological distress. For our animal friends it would mean access to food and shelter, and freedom from pain. We know how to provide food and shelter, but how do we help physical pain? There are many ways including pharmaceutical drugs and healing therapies. A medication can provide “bandaid relief” while the body heals itself. We can assist the body to heal itself with a myriad of therapies from old fashioned bed rest to acupuncture. Animals will continue to over use an injured body part when they are on pain medications, so rest must be enforced to prevent further injury. Acupuncture releases endorphins which reduce pain and bring circulation to injured areas. Dogs with spinal injury will relax and fall asleep with acupuncture, and can often avoid back surgery. Herbal medications can help with gentle anti-inflammatory effects without side effects. Chiropractic care restores balance for pain-free movement. Homeopathics, such as Traumeel, can energetically balance conditions rapidly. Supplements, such as glucosmine, can assist the body’s enzyme pathways to healing. Holistic veterinarians use many tools to help their patients. Rather than only prescribing a pain killing medication, they seek to discover the cause of problems to restore wellness. For example, undiagnosed hypothyroidism can lead to musculoskeletal injuries. Improvement in diet can lead to ideal weight and provide critical nutrients for healing. Holistic veterinarians will also address any psychological distress the pet and owner are experiencing. They provide counsel on behavior issues, sometimes adjusting the diet to address chemical imbalances. Elder pets benefit greatly from hospice care which addresses patient comfort and all quality of life issues. We would agree that animals experience pain in a different way than humans do. Their survival instinct is great and their tolerance can be amazing. When chronic pain and imbalance are gone, some dogs will start to “act like a puppy again” and we all feel great when that happens! Just this week, I was listening the health news on my favorite radio show, the People’s Pharmacy. Joe and Terry reported a scientific study showing that lowering the fever in cases of influenza with Tylenol or Ibuprofen was proven to increase the recovery time from the infection. I found this to be another of case of folk wisdom finally found to be true after all (FWFTAA). When you had a fever in the old days, you would cover up with blankets and perhaps open up the windows in the room. The former caused the sweating so happily portrayed in movies just before “the fever broke”. The latter served as infection control in the environment and provided clean air for the patient. Fever is truly the body’s way of driving out the pathogens! These days, we reach for the Dayquil or Tylenol and force ourselves to keep going. Hey, maybe that’s why the patients in the influenza study recovered more slowly! Once again, in veterinary medicine we were taught 30 years ago that calves who were chilled and had a reduced body temperature got more viral infections such as Rotavirus. It was shown that viruses love a lower body temperature and are able to replicate faster at a subnormal temperature. I have banked on that information for years. 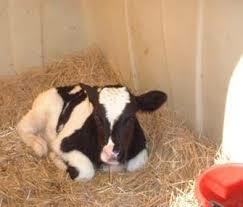 Practically, dairy calves must be housed out of the wind and they must have dry bedding to avoid being chilled. Plenty of fuel by increasing feeding to 3 times daily in cold weather will allow them to keep the body temperature up to normal. Ask any successful dairy farmer and he/she knows this. Sharing knowledge between human and veterinary medicine is a great thing for we are all mammals and have much physiology in common. 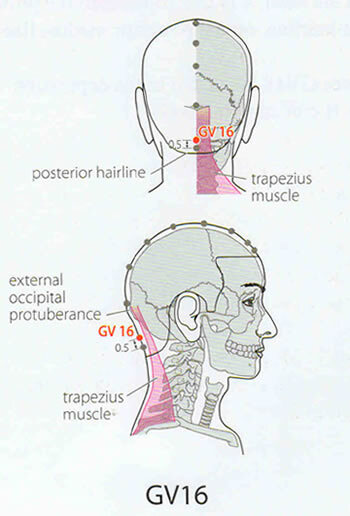 In studying Traditional Chinese Medicine, we learned about an acupuncture point called the “Wind Door” at Governing Vessel 16. It must be covered or warmed to prevent external wind from entering the body. Guess where it is located? At the back of the neck! How many times did our mothers tell us to keep a scarf on our neck so we don’t catch a cold? I love the way Chinese medicine describes the functions of the points and conditions in a way that explains so much. Through the years, I have learned to explain all sorts of connections in animal diseases that our conventional medicine cannot explain. Farm animal production is, by its very nature, a holistic enterprise. My foundation as a dairy vet well prepared me for holistic practice because, to be successful, we had to examine not just animals but feeding, environment, exercise, production practices, vaccination programs, and wellness practices for all stages of life. Everything works together and you cannot change one thing without affecting the whole, right?! A holistic approach to planning for and caring for farm animals is the only way to success in my opinion. There is the holistic examination of an individual, or an entire production system, and then there is a holistic approach to action. This involves the selection of a solution to a problem from many choices. For example, in my veterinary practice, I choose from conventional therapy, or homeopathy, or acupuncture, or herbal treatment, or physical therapy and usually a combination of approaches. Holistic care provides so many more tools to choose from to get the job done! More choices leads to an individualized system of care for each situation. In addition, there is always another route to the same destination if plan “A” does not work in that individual. Secondly, a great advantage of holistic choices is that they are usually compatible with organic production standards. They allow early, prompt treatment of conditions without fear of drug residues. Thirdly, holistic care seeks to help the body’s vital force to heal, and restore vitality and wellness. Sometimes conventional care suppresses the symptoms and the problem soon returns. This is what I call band-aid therapy. Holistic care seeks to maintain wellness and balance the immune system. I have found farmers to be the most open minded people I work with. They already see the world holistically, and they want good and lasting solutions to problems. I have heard the argument that organic farmers delay treatment due to reluctance to use antibiotics, thereby increasing the suffering of their animals. I would hope this is not the case, because there is much that can be done for animals with some basic supplies and knowledge. Organic and holistic farmers know that the key to health is a strong vital force and a good management plan that enhances wellness. In short, there are few obstacles to the holistic way aside from a closed mind! A 8 year old mare was limping in the pasture for 1 day prior to presentation. On exam, she had swollen and discolored skin around the pastern joint. The swelling had spread to the knee. Closer examination revealed two punctures suggestive of snakebite. Rattlesnakes were known to be on this farm. The mare was treated by soaking in epsom salts to reduce the swelling. She was also treated orally with homeopathic Lachesis, 30 C dilution, which is used for any skin lesion that looks like a snakebite. The foot was painful and the soaking in epsom salts seemed to relieve the pain. Snakebites and usually not fatal in horses but can be painful. The dying tissues are a great location for infection to set in. In this case, the mare recovered fully once the dead tissue came away and the new skin grew back. The take-away lesson is to actually look at the animal carefully and you will usually discover the cause of the problem. We were taught in veterinary school that most problems result from not looking rather than not knowing! This mare was assumed to have twisted her foot in the field, but when the swelling was worse on day 2, vet attention was sought. Homeopathic medicines are easy to administer with a few tablets given orally. Frequency of dosing is more important than amount of medication because you are treating energetically. Homeopathic medicines are very safe and effective for many conditions. A 2 month old lamb was presented for Tetanus. Castration band and tail band were the entry for the organism, though the wounds were no more infected that the usual for this procedure. The lamb was so stiff it could not stand, and the legs could not be manually bent. The barn had been used as a horse barn many years before. Spores of tetanus, historically associated with horse manure, can survive for years in the soil. In addition the owner sought to have an organic farm and had discontinued vaccination of his ewes. In fact, biologicals (vaccines) are allowed and encouraged in organic farming. This lamb was treated with tetanus antitoxin, cleaning of the wounds, and Penicillin G injections to try and save its life. Nursing care and tube feeding were required because it truly had classical “lockjaw”. This lamb miraculously survived for over a month, and recovered enough to eat on its own, but was never able to walk. This case just stresses the importance of using vaccines when there is a risk factor such as banding the tails. It is best to vaccinate the ewes and ensure that they pass on the protection to the offspring in the colostrum. Vaccines for Clostridial diseases such as Tetanus and Blackleg in cattle are cheap and effective. Prevention is easier than treating these diseases. A 1 year old ewe was presented with weakness and difficulty walking. As we all know, sheep do not let you know they are sick until they are very, very sick! This ewe was treated with acupuncture and recovered fully to my surprise! Acupuncture uses tiny needles inserted into specific points of the body to balance the bioelectric field of the body. It can relieve pain and help nerve function. It can stimulate blood flow to areas which will enhance healing. It is also very safe for animals. For example, this ewe had needles inserted in the head and back for restoring energy flow to the spine. In horses, points in the lower hind leg can cause muscle relaxation and relieve choke, an esophageal obstruction, if it is a mild case. I believe that my clients are seeking out holistic and natural care for their animals. The internet makes research very easy. Sometimes I find excellent resources on the internet such as from Universities and Veterinary Colleges. Other sources can have inaccurate information and the info sometimes gets “cut and pasted” thereby perpetuating poor information, making it appear to be common knowledge. I would encourage research on everything, but don’t believe everything you find on the internet. Use some common sense! “Natural” does not equal “safe”. Be careful about applying something across different species. What works for one, may be dangerous for another. I would encourage you to get a good reference book such as the Merck Veterinary Manual (available on line) and keep a first aid kit handy. This should include a rectal thermometer and some homeopathic remedies such as Belladonna for fevers, and Arnica for pain, and Apis for allergic reactions. Also some bandages, tape, gauze sponges, are useful for injuries. A roll of duct tape is very handy for larger animals. A good flashlight is helpful, as is an ob sleeve and lube. Yes, J-Lube ( Jorgenson Laboratories) is the best for facilitating a delivery- saves the mom and makes the job easier. Calendula tincture can be used for wounds if diluted in water. Ice packs can be used to stop bleeding and reduce swelling and pain. Topical meat tenderizer actually works for beestings by breaking down the venom. Learn the vital signs for your animals: temperature, pulse, and respiration rates. Develop a relationship with an open minded vet whom you can call for advice. Some holistic vets will do telephone consults. Realize that a vet visit for a tour of your facility validates the veterinarian /client/patient relationship and will allow your vet to legally prescribe and advise for you. It also will get you better service should you have an emergency. Get a plant book and learn to identify all plants on your farm. Most weeds are our friends and have medicinal qualities. Some indicate soil acidity, some are deadly, and some are nutritious. Find out which ones you want to keep and which ones you want to dig up. Do soil testing and keep healthy pastures going. Healthy plants must come from a healthy soil! Many chemicals absorbed in soils destroy the living microbiome required for healthy forages. The foundation for healthy animals comes from healthy food. Overlooking this will lead to problems down the road. For example, look at the enterotoxigenic E coli, which can be eliminated in cattle fed forages, rather than an acid grain diet! If an animal dies unexpectedly (or a fetus is aborted), realize that a postmortem is perhaps the most valuable tool you have to get an answer. It is tempting to let one go and keep your fingers crossed, but when the second animal dies, you will wish you had an answer from the first one! State universities and diagnostic labs will provide this service at a very reasonable cost. Lastly, I would just encourage you to keep learning and sharing with others in your business for support and information. The business of healthy food and a healthy mother earth is of utmost importance to more people than you think! Indeed, the very survival of our children and grandchildren depends on the decisions we make today. Salmonella is all over the news and apparently all over our pet foods and treats. It is a bacteria that causes food poisoning. It is my opinion that greater surveillance and monitoring is discovering this bacteria is commonly in pet foods. Dogs and cats are not getting sick from it! There is a risk to immune suppressed people who are handling the food in their kitchens. Let’s face it, dogs were designed to eat all sorts of gross stuff. Their systems keep food in the acid environment of the stomach longer and the Salmonella usually does not make them sick. They can become shedders of the bacteria ( in their feces), compounding the risk for their humans. I would like to think that our premium foods are quick to recall a product until it is determined to be safe. I just want you to know that these recalls are far from the melamine situation a few years ago where hundreds of pets died from toxin contamination of the foods. I am glad pet foods are being closely monitored, but as you know, the more you look, the more you find! With busy lifestyles, I am the first to admit that use of premium diets is less time consuming than cooking. The same goes for my own self. I usually cook, but eat less than ideal food when I must. A combination of commercial foods and cooking for pets is a step in the right direction. The only real solution to keep your pet safe is to cook for them. Even then, we all know that raw foods from the store commonly contain pathogenic bacteria and that is why cooking and proper cleanup are essential. Many of my clients feed their pets quality home cooked foods. Many others who initially say they feed a dry food, tell the true story of how much “people food” their pet gets when they realize I support real food! For immune suppressed and elderly animal patients, I do recommend cooking of the food. Making your own can be a solution to many health problems that pets face. The pay off is in a healthier immune system. In my book, every disease is a disease of the immune system! That’s why I discuss diet and supplements with every client, and that is how acupuncture can help so many health issues! Natura Pet is recalling several brands of pet food for possible contamination with Salmonella, the company announced today. The recall includes both dog and cat food sold under the brand names Innova, EVO, Healthwise and California Natural. To see a complete list of the recalled products, click here. Salmonella is a bacteria that, if ingested, can cause an infection called salmonellosis. A pet with salmonellosis, will have symptoms including lethargy, vomiting and diarrhea which may be bloody. Some pets may experience a decrease in appetite, fever and abdominal pain. Others may show no sign of illness, but can be carriers and infect other animals or humans. Contact your veteranarian if you have concerns about your pet. 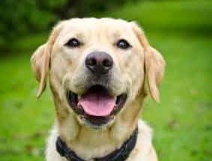 Humans can contract Salmonella from handling contaminated pet food or from touching a surface the food contacted. It’s important to wash hands after feeding your pet. If you place bowls on the counter before filling them make sure to wipe the counter clean with warm soapy water or with a cleaner recommended for your counter’s surface. If you have a pet food spill, make sure to clean up the area thoroughly. This is the fear of every horseperson, yet it is not as common as you’d think. Because of its mortality rate, colic’s reputation is a fearful one. Colic is the third leading cause of death in horses. Only 4% of horses will get colic, but of these, repeat cases are common. 11% of colics are fatal, and 1 out of ten requires surgical treatment. These are the signs of colic… your horse looking at his side and rolling. The first hours of colic are critical, a severe case can be dead in 12 hours. Of course we regularly leave our horses for longer periods than that, so if you find your horse in distress, you need to get help immediately! Transport to a surgical facility if that is in your budget. The sooner you travel, the better, if you are fairly close to a surgical facility. A work-up for diagnostics will cost you about $650. Learn to take vital signs: Temperature, pulse rate and respiratory rate. Colic does not usually cause a fever but an elevated pulse rate, greater than 40 beats per minute at rest is a sign of a problem. If the pulse rate goes over 60 BPM, the prognosis is worse. Expect your vet exam to include a rectal exam and nasogastric intubation. Gastric reflux is a severe sign. Horses cannot vomit, and pressure builds up in the stomach with an intestinal blockage. You may administer Banamine, and in fac,t most colics are simple gas pain and will resolve with Banamine. The next common cause of colic is dehydration, and oral electrolytes can help to reverse this. Other causes of colic are these. Feed impactions, ascarid impactions, verminous migration, displacement of the colon, nephrosplenic entrapment, volvulus of the intestine, enteroliths, lipoma entanglement, inguinal hernia, intussception. Horses can get dehydrated during the winter months from riding, or from lack of water. Administer electrolytes prior to your rides, provide unfrozen water at all times, especially when horses are on hay diets. Add water to pelleted feeds for older horses. Avoid moldy hay. Be aware that hungry horses will eat things they normally would not and should not eat (like tree bark and toxic weeds). Have fecals examined at vet for microscopic evidence of parasites. Avoid sudden changes in feed. Keep emergency drugs on hand for pain such as Banamine. Keep a palm sized piece of ginger in your freezer- use cut-up fresh ginger steeped in hot water as an antispasmodic tea for acute colic, while you wait for your vet to arrive. Again, learn to take your horse’s vital signs. Get a digital thermometer from the drug store and keep it in your barn. Normal rectal temperature is 99-100 Farenheit. Advise horse sitters of your horse’s normal behavior and give them the number of a vet to call for emergency. Realize that most colics will recover, but a severe colic is an illness that can end in euthanasia even if you take the best of care of your animals. If you hang around horses long enough, you will eventually encounter a colic. It is wise to be informed and to determine the severity and to act quickly on worsening signs. During this new year, I want to express my appreciation for our volunteer rescue squad and fire department members. I have been certified as an emergency first responder and it is only now that I realize what a treasured resource these people are. Until last year, I hardly ever noticed evidence of the rescue squad except for occasionally seeing them sitting in the doorway of the squad building on a sunny afternoon. I have never called 911 for anything and know only one person who has called an ambulance in the last few years. Sure, I have seen a few fires, and have seen the fire department working heroically on occasion. I sure appreciated their response when my horse was stuck in a cattle guard one snowy night! But the rescue squad somehow escaped my notice. What a new view I have now! My eyes have been opened to the dedication of a fairly large number of volunteers in this county. I just never thought about all those skilled people who are on call 24/7 for anyone who calls 911. I never thought of the ambulance having to travel on muddy or snow-covered roads in remote areas, with a good hour’s trip to the hospital with a critical patient. I never considered what it would be like to drive a large ambulance containing a critical patient and 2 EMT’s, until I tried it. Never thought much about that helicopter that flies regularly across the sky… until a good friend of mine was transported in one after a near death experience in the national forest. We are so fortunate to have the services of the Life-Guard teams in this area. That’s another whole story! Let’s face it, we love our remoteness but when you’re delivering a baby or you’re injured, it’s a long way to a hospital! Being “on call” has been a way of life for me. However, I have failed to appreciate all those folks who are on call for me each and every day. Since I have been on a few 911 calls, I see the same familiar faces show up with the ambulance time after time. Their concern and professionalism never waiver even in the worst circumstances. Each emergency takes 30 minutes to 4 hours depending on the distance to the hospital. Often there are no calls for hours, then overlapping calls come in. There is always a back-up crew and another ambulance ready to take over. Our new first responders serve as a supplement to the rescue squad, responding to calls in the more remote areas of the county, ready to assess the situation and advise incoming crew. I would just like to take this opportunity to say thank you to each and every person who contributes to emergency services. From dispatch to the emergency room there are a multitude of parts that keep this well-oiled machine running. From the mechanic who fixes the ambulance to the Paramedic on call, every part is critical. Take time to thank a volunteer when you can. Contribute what you can to a cause you believe in. Everyone has something to offer. And don’t be surprised if a vet shows up when you’ve called 911! Dr. Lewter is not just running the roads. On Oct 22, our 4th Monday alternative medicine study group was led by Judy Yan of Blacksburg. Judy reinforced the idea that our health is only as good as the fuel we give our bodies. This is common sense isn’t it? Maybe we need to hear these ideas in many ways before we can walk the talk! These principles apply to any living creature. Think about your pet’s food. Is it not amazing that animals can even live on processed dry food, the same thing every day, with vitamins added because the food had been so cooked and preserved that these good elements are destroyed? That being said, veterinarians see problems on a daily basis that are linked to poor nutrition such as allergies, skin problems, cancer, chronic diarrhea, and the list goes on. Some lucky animals may have the genetic fortitude to eliminate toxins well. Most do not, especially our purebred dogs who do not have that hybrid vigor. Judy explained that in her practice with humans, special nutritional supplements are used to jump-start a system that has been out of order for years. Then gradually changing the eating habits can improve and enhance wellness. The same goes for my animal patients. Supplements, herbs, and acupuncture can get us through a crisis, while good nutrition is the foundation for maintaining health. Many animal problems are caused by intestinal dysbiosis and overworked liver qi. The intestine is their first line of defense in the immune system. The liver is an organ of detoxification and the source of the blood and body fuel coming from the intestinal tract. Just understanding and trying to practice the two principles of natural health will go a long way to improve health in ourselves and our animals! How many times have you heard, “show me the research” when describing the latest, greatest new remedy you have discovered? This seems to be the answer from the conventional world regarding a growing field of clinical medicine that they have not been taught in school. Sure, what we learn in school still sticks with us as gospel. Haven’t we all have been told about that turnover of information- that every 7 years, what we learned will be out-dated. So why do we hold on to old beliefs? I can practice the medicine I was taught in school 30 years ago and get by, no questions asked. But when I practice cutting edge medicine with much clinical evidence, I may be questioned! Fortunately, there are solutions… there is much existing research to be found from other countries. Homeopathic research is easy to find in Europe! There is much research going on currently on western herbal medicines in our American teaching hospitals! There are volumes of research out of India on Aryuvedic medicines especially in farm animals! There are tons of papers out of China on Traditional Formulas used for every imaginable condition! The good news is, the American Holistic Veterinary Medical Foundation has had a huge fundraising campaign going on for research in veterinary medicine. Face it, those in this world with the big money are the pharmaceutical companies whose interest is not in alternative medical practices. I am a firm believer in taking charge of your own health-care, so the source of energy must come from veterinarians and universities and pet owners! Energy, ideas, funds, expertise are all needed. 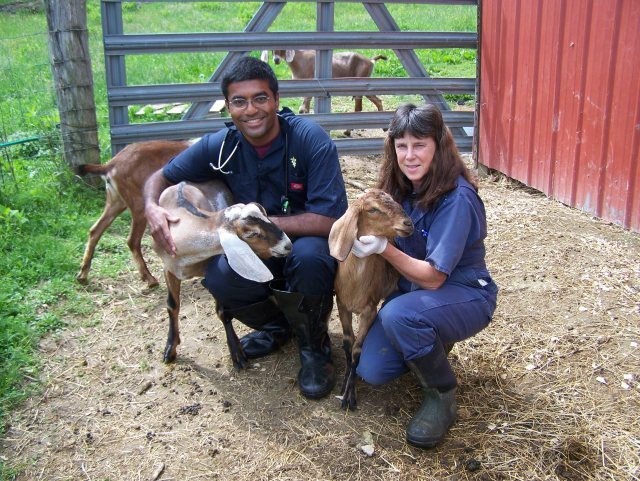 Our foundation supports research to benefit animals and students who have an interest in approaching veterinary medicine with an open mind! “Evidence based medicine” is today’s popular phrase. The way I define evidence based medicine is actually quite compatible with holistic practices that I use. I have evidence from my colleagues, evidence from my own clinical experience, and often evidence from clinical trials that support my choices. Published research would be better and we are working on gathering that! How does this affect you as a pet owner? • Have an open mind. • Encourage documentation of your animal’s success and failures by your vet. • Allow photographs to be taken for the record. • Keep detailed notes and observations. • Be truthful with your vet on compliance challenges. • Work as a team with your vet. • Get a second opinion when needed. Ask for a referral for further diagnostics, other modalities, or treatments. • Do your own research and share it with your vet. Beware that Dr. Google can get you into trouble. • Be honest when financial restraints are present and don’t feel guilty about it. Don’t exceed your pet’s benefits on the first day and then have nothing left for treatment. • Support veterinary schools and write letters to voice your support for a particular area of medicine. • Try to be constructive in your comments. Realize that even vets are not immune from cancer, dysplasia and other illness in their own animals. Thank-you for being your pet’s best advocate! It really is true, they are our angels with lessons to teach, so the research you do for your animal will surely be useful in your future! Pay close attention to your angel. On Saturday August 25, 2012, Dr. Lewter volunteered at the Virginia highlands Endurance Challenge. Horses competed in a 30 mile and a 55 mile ride over the mountains and valleys of Mount Rogers National Scenic Area. One of the trails they got to see was “Horse Heaven”, Dr. Lewter’s favorite trail! Dr. Lewter participated in the veterinary exams of horses to make sure they were fit to continue on with the competition. 90% of the horses finished their rides without the trailer ride back to the Ivanhoe campground. As a trail rider herself, Dr. Lewter has learned much from these riders about conditioning, electrolytes, and saddle fitting. 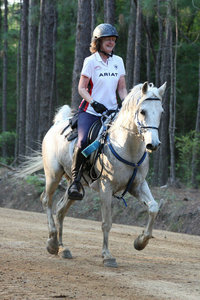 For more information about endurance riding, go to http://www.aerc.org/EducationRecognisingProblems.asp where you can learn much about your horse! Even if you only ride once in a while or horse-sit for a friend’s horse, you can learn much here! I can tell from the looks on their faces when my clients come in with a diagnosis of cancer in their beloved pet. They are worried, concerned about cost, and looking for hope from a holistic viewpoint. The pet, on the other hand, is happily investigating the new surroundings and interesting scents in my office, oblivious to their diagnosis. There are many reasons for hope. It is a rare day when I tell a patient there is nothing we can do to help. There are always things that can help! Each vital force and body constitution is different, so we deal with the options one at a time, on an individually tailored plan. Conventional biopsy, surgery, and chemotherapy can be very useful but the thought of this is overwhelming to many clients at first. Like any disease, cancer is a dysfunction of the immune system, so that is an easy place to begin immediate treatment and especially prevention. Begin with good nutrition, fresh organic foods, and herbal supplements tailored to individual needs. It always helps to take one small step in the right direction and the animals love this part of the plan! Next we discuss the type of cancer, how genetics and nutrigenomics play a role, and whether a visit to an oncologist is an option. I try to educate clients that the cancer did not begin on the day of diagnosis but much earlier in life. Their pet has been and will be living with this for some time. We choose herbal combinations and supplements to add to the conventional therapies. There is much research showing the beneficial effects of botanical compounds in cancer therapy to enhance quality of life and fight cancer at the cellular level. We discover whether their pet will accept tablets, powders, or liquids most readily. I strive for stress free treatment for owner and pet! If a case is in terminal stages, animal hospice is an option. End of life care is so important in the bond with a loved pet and the memories made during those last days. Pain control with acupuncture or drugs is essential and veterinary home visits reduce stress on everyone. I believe that each pet is a special angel that has lessons for us. If we pay attention, we can learn so much from them. We can cook healthy food for them and ourselves, we can learn about cancer prevention, we can learn how to be a health advocate for someone else. Most of all, we can learn to toss our worries to the wind and live joyfully in the moment. Holistic Veterinary Consultants offers a comfortable place to bring your pet for a thorough holistic evaluation and a multifaceted treatment plan.Dr. Marjorie Lewter is a VA native who attended VaTech to receive degrees in Animal Science and Biology. Her veterinary training was completed At the University of GA, College of Veterinary Medicine in 1981. She worked as an intern ad an associate veterinarian until 1990. For the next 10 years Dr. Lewter concentrated on the study and practice of complementary medicine, which she proudly practices at present both with house calls and in her new office in Blacksburg, VA.